Less than ten minutes from the city center of Hardelot Les Enfants is where you'll find this enclosed garden area that's dedicated especially to children. Situated between multiple trees that shade it and protect it from wind. 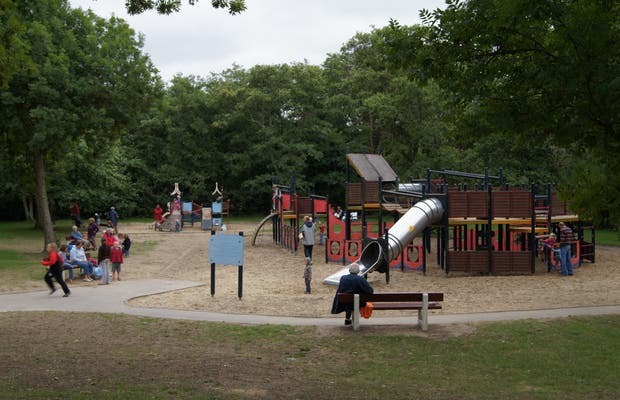 Your kids can enjoy one of the many outdoor playgrounds that are available. The Garden of Children boasts Swings, slides, climbing nets and cabins that are ideal for decorating imagine the thousand and one adventures. Furthermore, the amplitude of the spaces to organize ball games games (which obviously are allowed). Parents, comfortably seated in one of the many banks that are in the garden, they can enjoy the sun while watching over their children.